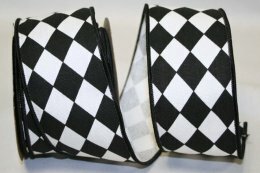 This wonderful printed ribbon feature a repeating diamond pattern & matching thread wired edge. With 3 colors to choose from, this diamond print ribbon is fabulous for decorating gift packages, for holiday and wedding decor, bouquets and craft projects. The Ribbon Diva's fun and fresh diamond print ribbons are a great addition to any project. 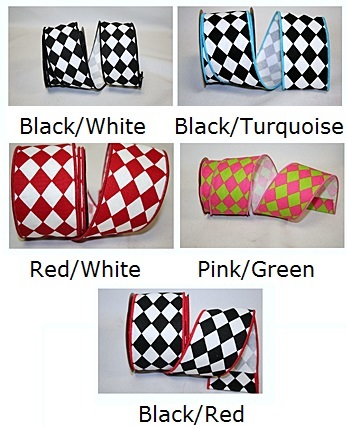 ....Please select Black/Red Black/Turquoise Black/White Pink/Green Red/White .